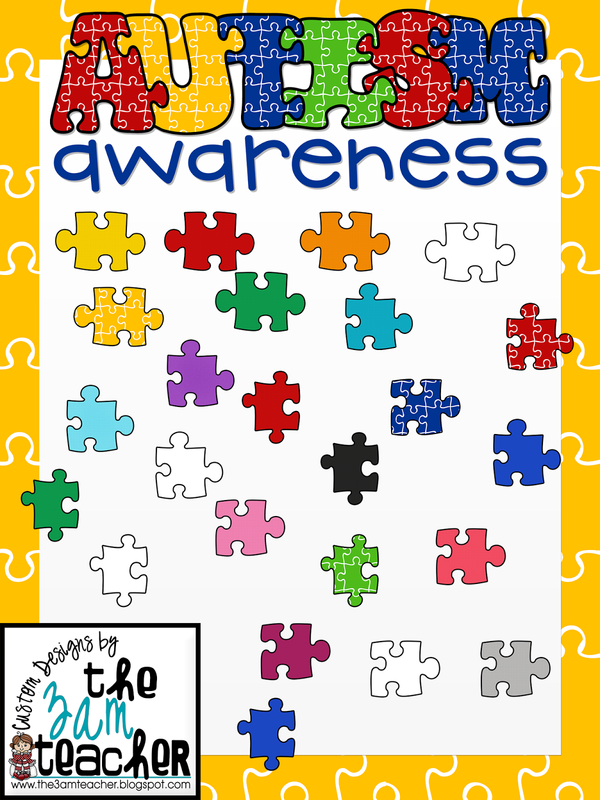 The 3am Teacher: Autism Awareness Graphics/Clipart & TWO Fun Friday FREEBIES!! 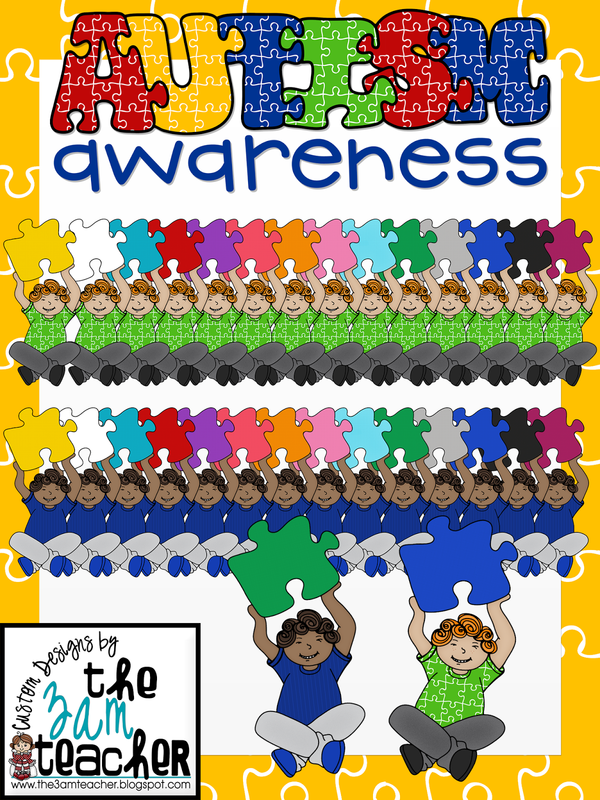 Autism Awareness Graphics/Clipart & TWO Fun Friday FREEBIES!! 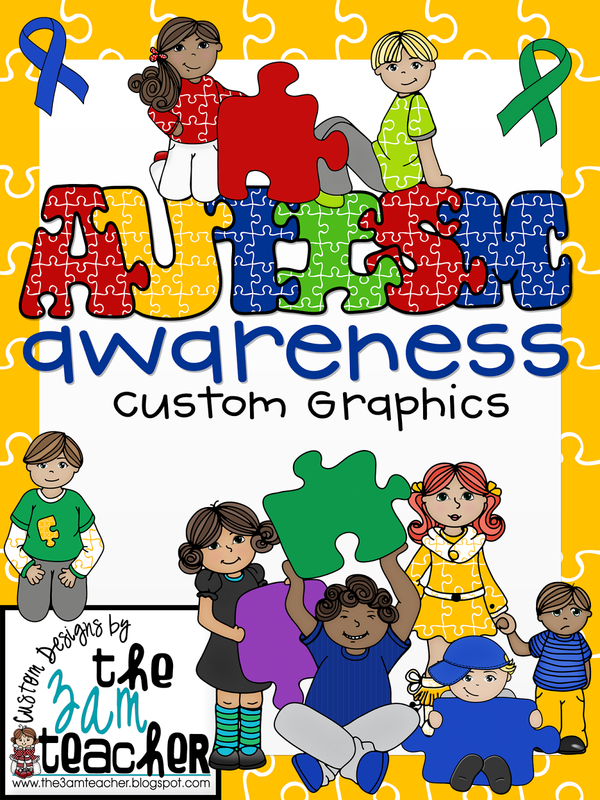 My Autism Awareness sets include over 70 graphics at only $4.00 per set!!! The puzzle pieces that the kids are using can be used as a text frame in your resources or crafts!! 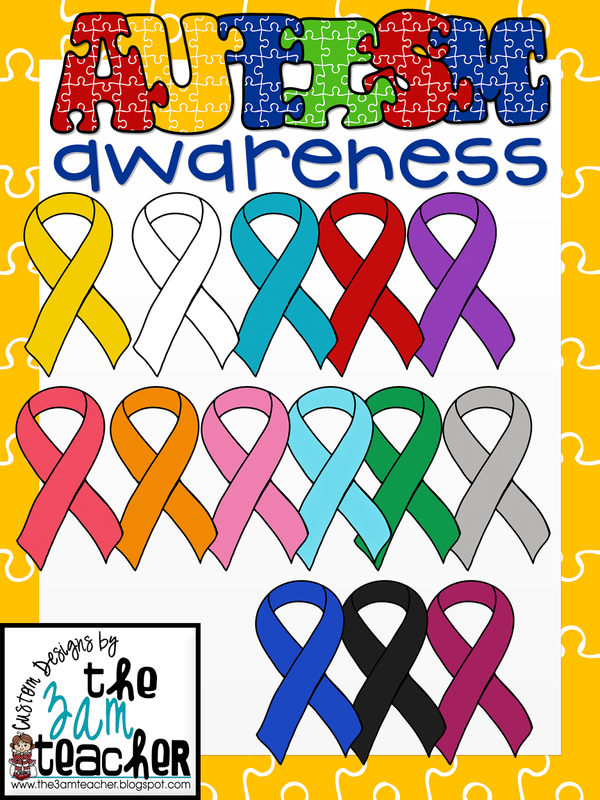 My Autism Awareness Month Set #2 also includes over 70 graphics in the set for just $4.00!!! 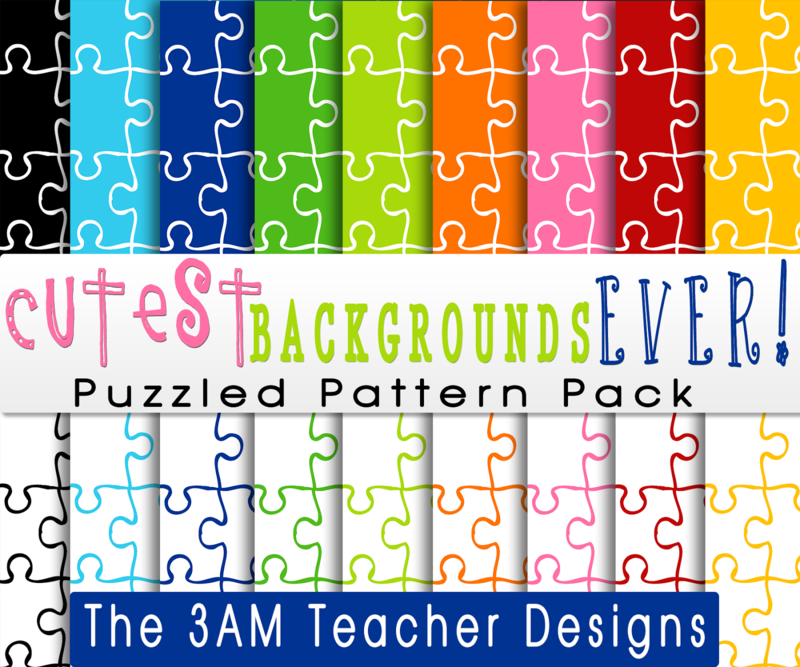 Grab a FREEBIE only at my Teachers Pay Teachers Shop!! Click the image below to grab this set!!! 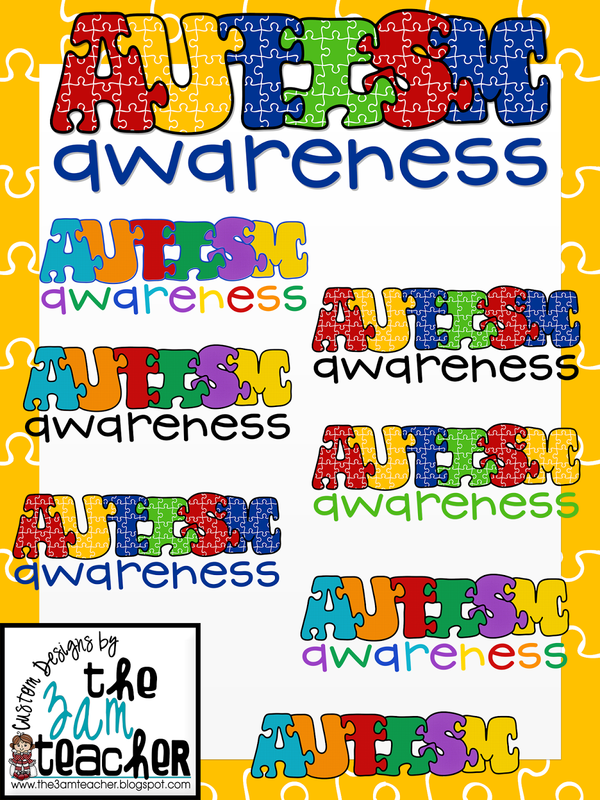 Grab my FREE Autism Awareness Background/Border!! Just right click & save the image!! 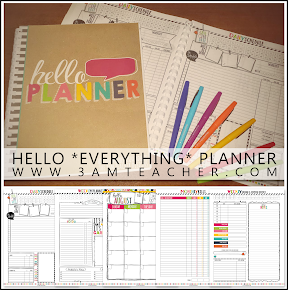 Please make sure to leave me some happy notes in the feedback section at my Teachers Pay Teachers Shop any time you purchase a set or download a FREEBIE!!! Your feedback is greatly appreciated!! Thank you so much!! I never created a full alphabet set, but that is definitely a great idea! !